SNAFU! : F-35 News. CSBA recommends more B-21s, cuts to F-35 to prepare for the fight against China! F-35 News. CSBA recommends more B-21s, cuts to F-35 to prepare for the fight against China! The report recommends the Air Force double down on stealthy, long-range aircraft and cut back on non-stealthy, short-range planes, while also growing the drone fleet at the expense of big, old, manned surveillance planes. The CSBA report overlaps with the Air Force's own 2018 proposal to grow the force from 312 to 386 operational squadrons in order to meet "the reemergence of long-term, strategic competition with China and Russia." "The Air Force’s imperative is to compete, deter and win this competition by fielding a force that is lethal, resilient, rapidly adapting and integrates seamlessly with the joint force, allies and partners," the flying branch stated. But while the Air Force proposal and the CSBA report champion the same stealthy and long-range systems, the think tank recommends a much bigger overall fleet. Where the Air Force wants to grow from nine bomber squadrons in 2019 to 14 by 2025, CSBA advised the flying branch to stand up an additional 10 bomber units for a total of 24. 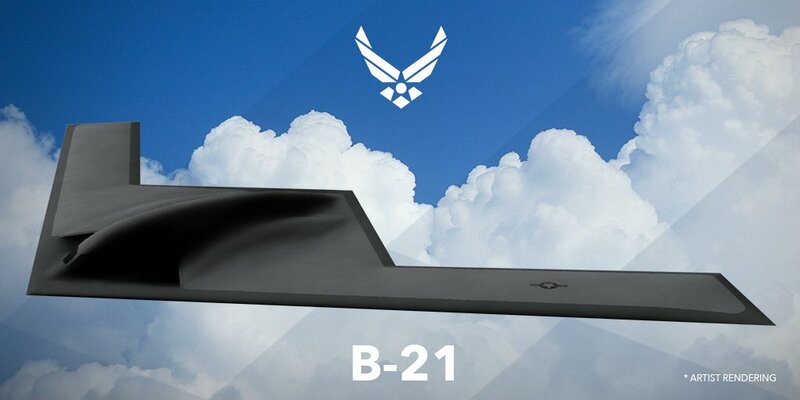 The 24 bomber squadrons should operate 20 B-2 stealth bombers, 75 upgraded B-52s and a whopping 288 of the new B-21 stealth bomber. The Air Force currently plans to buy at least 100 B-21s. The Air Force proposed to grow from 55 fighter squadrons to 62 by 2025. CSBA also wants the flying branch to shoot for 62 fighter units, together operating 159 F-15Es, 572 F-16s, 186 F-22s, 908 F-35s and 282 copies of a new "Penetrating Counter-Air" fighter. The Air Force began studying the PCA plane in 2017 and has yet to formally define the type or put serious money into its development. The CSBA report urges the service to hurry up with the PCA at the expense of the current F-35, which is stealthy but lacks range. The Air Force wants more than 1,700 F-35s, but CSBA appears to be happy with just over half that number. The USAF is not equipped to fight a war in the Pacific. For a European campaign or wars in the desert? They're fine. But they need a totally different mix of aircraft to fight over the vast distances of the Pacific region. You build a fleet that can fight there, then that same fleet can fight anywhere. It don't work the other way around. More bad news for F-35 fanboys? Even the think tank crowd is crystalizing around the fact that there will NOT be a full buy of F-35As. Whether its F-15EXs or a future advanced fighter, the situation remains the same.